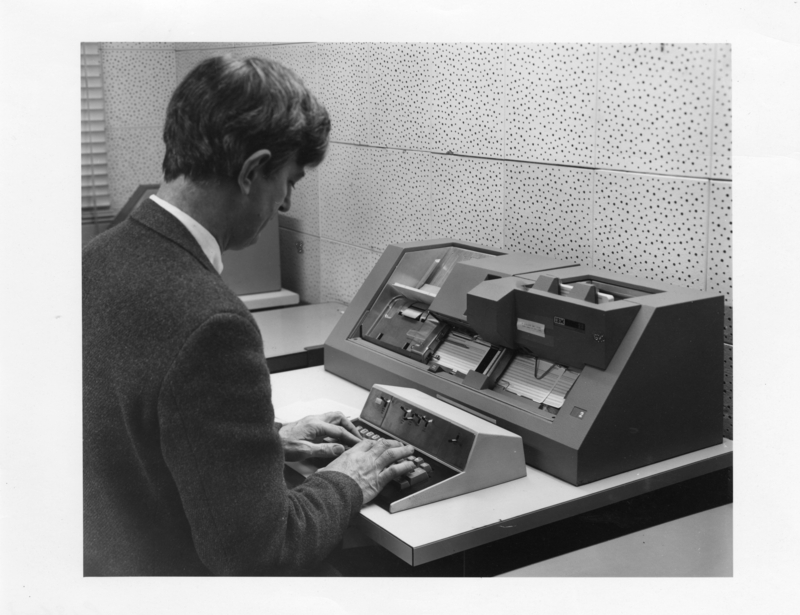 My dad in the punch-card days of computer science. Soon after I started this blog, a family friend asked me to write a post about why I became a scientist. Pretty much all of those reasons lie with my mom and my dad, both very impressive scientists. And since today would have been my dad’s birthday, it seems like the right time to delve into his role. My dad, Oliver G. Selfridge, truly was a remarkable man, in his own right. Go ahead, check out his Wikipedia page. I’ll wait. Of course, the things we love and remember about our parents often have very little to do with what the rest of the world sees and remembers. Of his many enduring legacies, I most cherish our shared love of the mountains, of the sea. A shared joy of skiing fast. A shared insatiable curiosity. He, more than anyone I have ever known, asked questions. My dad wanted to know the world, to understand how it was put together. Every aspect interested him, no part of knowledge ever seemed boring to him. No fact was too small to be worth knowing, no question ever seemed too trivial. What’s the average temperature in Boston in January? How do you say ‘Olivia’ backwards? He delighted in learning things. Intellectual cul-de-sacs? Big conceptual thoroughfares? Both were fascinating. Yet, despite everything he knew (which was a lot), he never lost his child-like wonder at the universe. There is such pure joy in discovering why something is true, such satisfaction in finally being able to make order where there used to be only data. I have a memory of him sitting on the sofa with his atlas open, looking at the highest elevations in various countries, and learning the longitudes and latitudes of cities. Why? Just because. It’s nice to know where the highest point in the Cotswolds is. His desire to understand, and his joy at understanding, seemed to be all that mattered. Perhaps because of this, my dad was also one of the most intellectually courageous people I have known. He did not fear failing to solve a puzzle,—I’m not even sure if he really, ever, understood that fear of looking ‘stupid’. How do we get computers to desire solving a problem? How should we teach children mathematics so that they enjoy it? Being intellectually unafraid is so important. Not just for being a scientist, but for learning, in general, because, after all, there are an infinite number of problems that we do not yet understand. Often they can loom before us like unscaled mountains, tricky and menacing and unknown. There are Hinterstoisser traverses and dead ends and false summits. But my dad never seemed to worry about failed attempts or choosing the wrong ascent route or becoming lost—he just strode forward, purposeful and unafraid. One night, when I was in fifth or sixth grade, we had just gone through solving the quadratic equation. We went out to our favorite Chinese restaurant for dinner, and over the moo-shu pork, he said, There’s also a cubic equation. And a quartic equation. He paused here, taking a sip of jasmine tea (always the showman!). But, you know, there’s no general quintic equation. This, I responded, was pretty cool. Then he said, Showing that is too complicated for you right now, and so is solving the quartic equation. How about solving the cubic equation? Well, I think you won’t be able to do it, but you should try. And so I did. For about a week. Until I had to acknowledge my defeat. But, you know, I didn’t mind at all. In fact, I loved it. The whole time I felt like I was doing something real. I was exploring the unknown. What a thrilling, addicting experience! My dad had one additional super-power: that uncanny ability to explain concepts to anyone and to share his delight in those concepts. He could distill complicated ideas to their very essence. To anyone. It was amazing. And he made it fun with this unmistakable touch of whimsy. So why did I become a scientist? My dad’s influence is everywhere. He taught me to ask questions, to try to understand, and to rejoice in the universe. Or as my mom put it, It’s the family business. A mind without learning is not a mind at all. Yes, we do have a photo of him there.